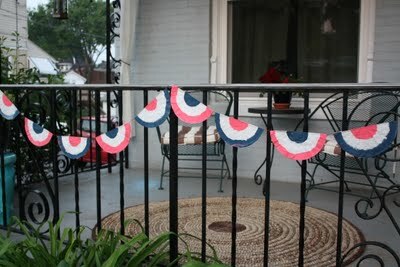 I love this fun bunting from Katydid and Kid. It is a super easy project for kids and one that looks good enough you might want to make one even if you don't have kids. And because it is so inexpensive, you could cover the entire front of your house for just a couple of dollars. 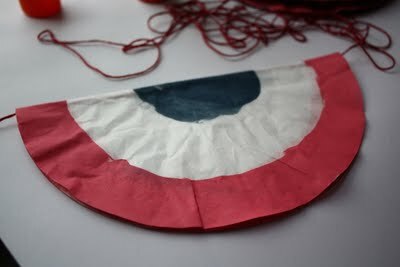 You can get the tutorial for your own patriotic bunting HERE. Thanks for sharing this! I hope to see some that you might make!